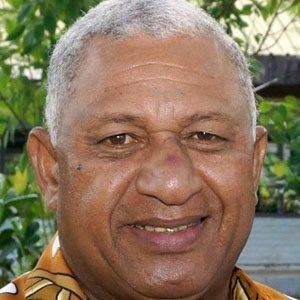 After joining the Fijian Navy and subsequently being appointed Commander of the Fijian Military Forces, he served as Acting President of Fiji during the country's interim period of military rule and, later, following a 2006 coup. In 2007, he assumed office as Prime Minister of Fiji. He studied at both the Asian Institute of Technology and Dalhousie University. His numerous military decorations include the Fiji Republic Medal, the Meritorious Service Decoration, and the United Nations' Peacekeeping Medal. He grew up in Kiuva, Tailevu, Fiji, with brothers named Meli and Timoci. His marriage to Maria Makitalena resulted in six children. During the early 2000s, he and Laisenia Qarase both held the office of Prime Minister of Fiji.